US PRESIDENT-elect Donald Trump named Australian-born Andrew Liveris to head up an “American manufacturing council” that will be tasked with bringing industry back to the US. 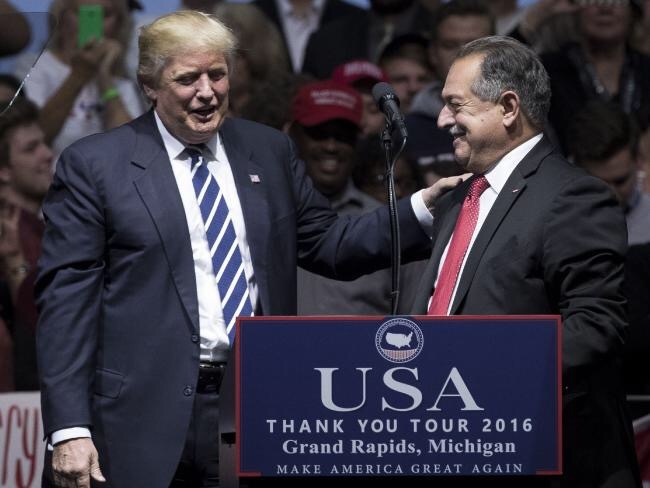 Mr Liveris, who is the current chairman and chief executive of Dow Chemical Co, will head the Manufacturing Council, a private sector group that advises the US secretary of commerce. 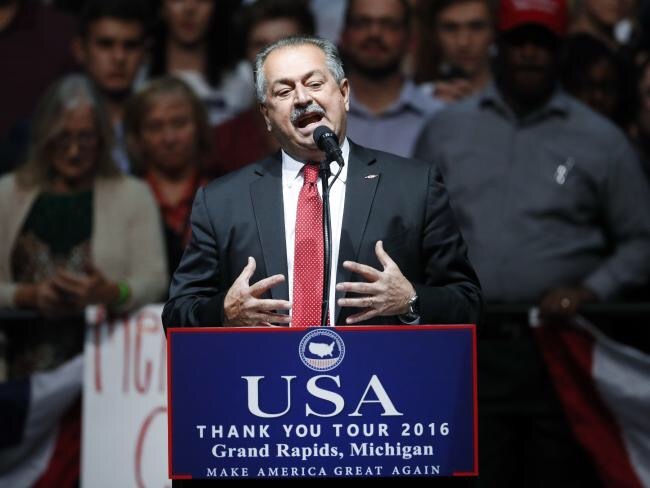 Trump made the announcement during a rally in Battle Creek, Michigan, where he introduced Liveris, 62, a dual US-Australian citizen after he accepted the appointment. The panel to promote US manufacturing will be “tasked with finding ways to bring industry back to America,” Trump said. Liveris told the audience that Dow would soon bring a new research-and-development centre to Michigan. Andrew Liveris, Chairman and Chief Executive Officer, Dow Chemical Company, speaks at a rally for President-elect Donald Trump. Mr Liveris is also a friend of Australian Prime Minister Malcolm Turnbull, and spent Easter Sunday at his Point Piper mansion this year. He and his wife Paula bought a $8.5 million home in the exclusive Sydney suburb, which is near the PM’s home. Mr Liveris is Darwin-born and the son of Greek immigrants. He attended the University of Queensland, and is described as an “extraordinary networker” by Australia’s Ambassador to the US, Joe Hockey. Records also show that Liveris has donated to both Republican and Democrat campaigns in the past. In 2012, Liveris personally donated more than $US40,000 ($A53,699) to groups supporting Republican presidential candidate Mitt Romney and Democrat President Obama. During this year’s election, he refused to endorse Hillary Clinton or Trump. While he believed Trump “has an audience”, he thought Clinton was “the better candidate”. Liveris was also forced to repay $US300 ($A399) on flowers he boguht for Ms Clinton, who was the Secretary of State on New Year’s Eve in 2012. Mr Liveris has also previously been a member of the invitation-only Clinton Global Initiative (CGI), a collaboration focused on women and poverty. 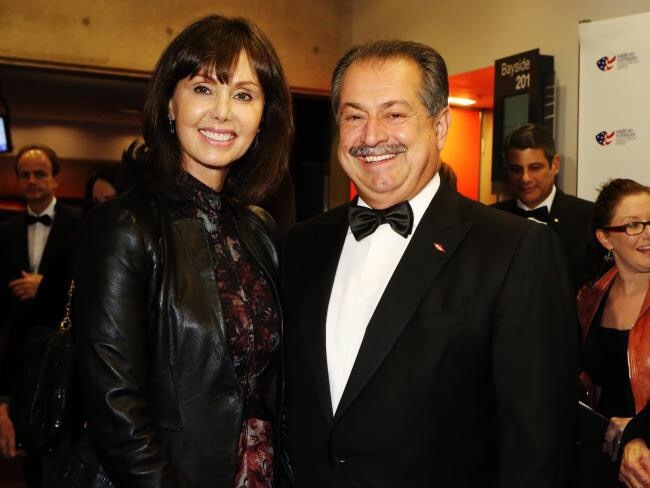 In January 2014, Liveris was appointed Officer of the Order of Australia for “services to international business”. He also received two honorary doctorates, from The University of Queensland and Michigan State University. Donald Trump’s transition team is dismissing a report that the CIA believes Russia tried to intervene in the U.S. election because it wanted Trump to win. A Friday night statement released by the transition team notes that the CIA “are the same people that said Saddam Hussein had weapons of mass destruction.” U.S. intelligence officials have accused Russia of hacking into Democratic officials’ email accounts in an attempt to interfere with the presidential campaign. The Washington Post, citing anonymous U.S. officials, reported Friday that the CIA has concluded that Russia aimed specifically to help Trump win the presidency. President-elect Donald Trump introduces Andrew N. Liveris. CBS Sports says it will interview President-elect Donald Trump during Saturday’s Army-Navy game in Baltimore. Trump is attending the annual football game between the rival military academies. CBS Sports says Trump will be interviewed by Verne Lundquist and Gary Danielson during the third quarter of the game. Transition officials said earlier this week that Trump will sit on Navy’s side of the field for one half of the game, and on Army’s side for the other. President Barack Obama attended the game in 2011. President George W. Bush also attended the game while in office. President-elect Donald Trump says Rudy Giuliani is taking himself out of consideration for a position in his administration. Giuliani, a loyal Trump supporter throughout the campaign, was an early front- runner to be secretary of state. But he faced questions about his overseas business ties and Trump began looking at other candidates, including Mitt Romney. In a statement, Trump says Giuliani would have been an “outstanding” Cabinet secretary in several roles. 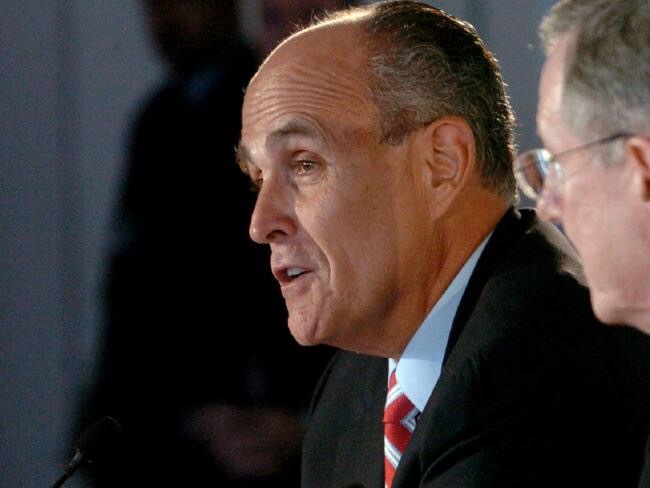 He says he respects the former New York City mayor’s decision to remain in the private sector. Reince Priebus, Trump’s incoming White House chief of staff, says Giuliani was vetted by the transition team for possible conflicts and “passed with flying colors.” Trump is yet to announce his pick to lead the State Department. 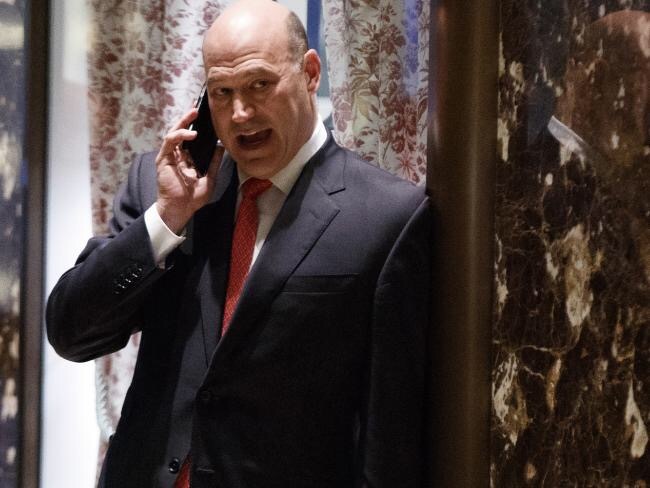 Goldman Sachs COO Gary Cohn talks on his phone as he waits for the start of a meeting with President-elect Donald Trump at Trump Tower in New York. President-elect Donald Trump is expected to pick Goldman Sachs President Gary Cohn for an influential White House economic post. That’s according to two people informed of the decision. The 56-year-old Cohn would lead the White House National Economic Council. The posting would require him to leave his $21 million a year job as president and chief operating officer at Goldman. Trump repeatedly vilified the prestigious Wall Street bank on the campaign trail. Yet with the choice of Cohn, he’s now named three of its alumni to key positions in his upcoming administration. The people informed of the decision spoke on condition of anonymity because they were not authorized to publicly discuss the expected move.